is a small, organic family run winery located in the heart of Tuscany’s Chianti Classico production zone. It consists of 106 acres (43 hectares) of vineyards, olive groves and woods, with a few old traditional stone houses and a 12th century church. The winery is one of the properties of a large estate which used to belong to Prince Ginori Conti, a descendant of one of Florence’s oldest families. 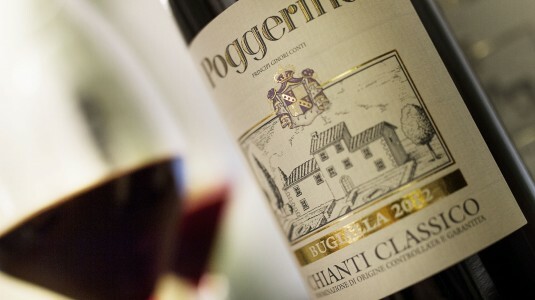 Floriana Ginori Conti inherited the winery from her father in the 1970s, and began in 1980 together with her husbant Fabrizio Lanza, to produce a Chianti Classico with the “Poggerino” label. In 1999 she handed over the property to her two children, Piero and Benedetta Lanza, who had been managing it since 1988. Besides its activity as a winery, Poggerino also provides accommodation. The property includes several typical old stone farmhouses, the famous Chianti “casa colonica” whose architectural beauty and harmony within the landscape are unique in the world. 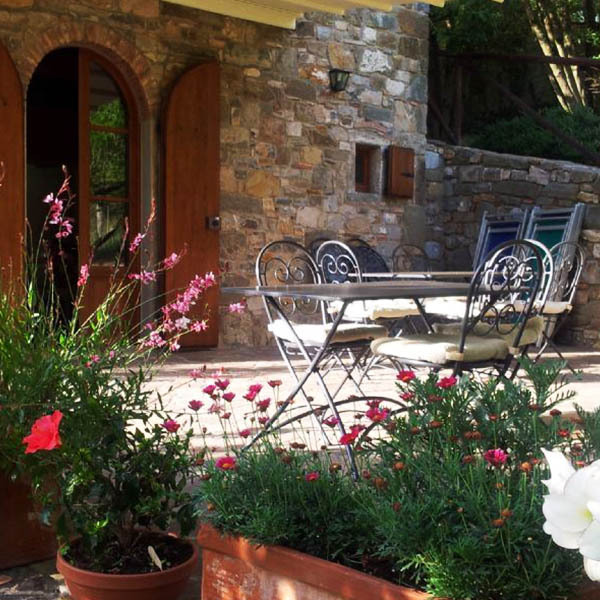 A vacation at Poggerino is an occasion for total relaxation by those who wish to escape the city, breathe in the romantic atmosphere of the Chianti hills and wake up to the song of birds . There are today approximately 12 hectars (29 acres) of vines in production, planted mostly with Sangiovese. Poggerino’s wines are produced exclusively from its own grapes, and every step of wine production and marketing is carried out by the owners themselves. We believe in an almost fanatical attention to vineyard work. It is in the vineyard that we must strive to produce healthy grapes which have attained the highest degree of concentration and ripeness possible, for this is essential to the production of wines of style and character that can fully reflect the individuality of Poggerino’s terroir. Each of the rooms with ensuite bathroom and wifi, has a personal decoration and a beautiful view from the windows. A cosy living room is available for the guests. In the large garden we have arranged many different corners where you may relax and enjoy the quietness and beauty of the Tuscan countryside. 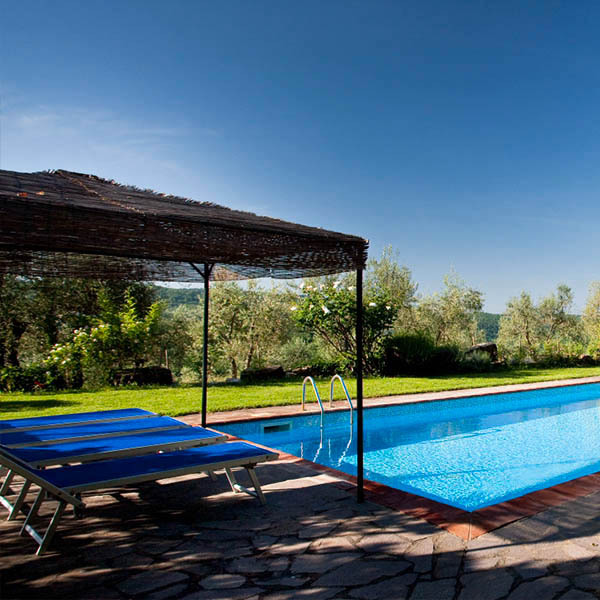 The swimming pool, surrounded by lawn and a lovely flower garden, faces vineyards and olive groves, with a breathtaking view of the surrounding countryside and unforgettable sunsets. 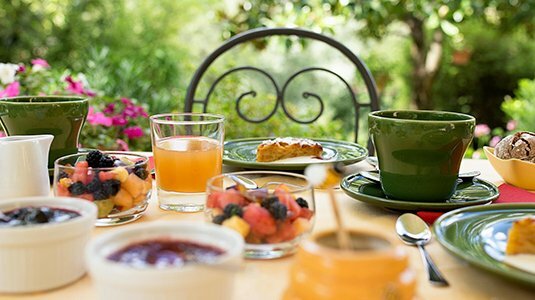 Breakfast in the garden: a nice moment to start your day! We try to make it special, colored and varied every day. 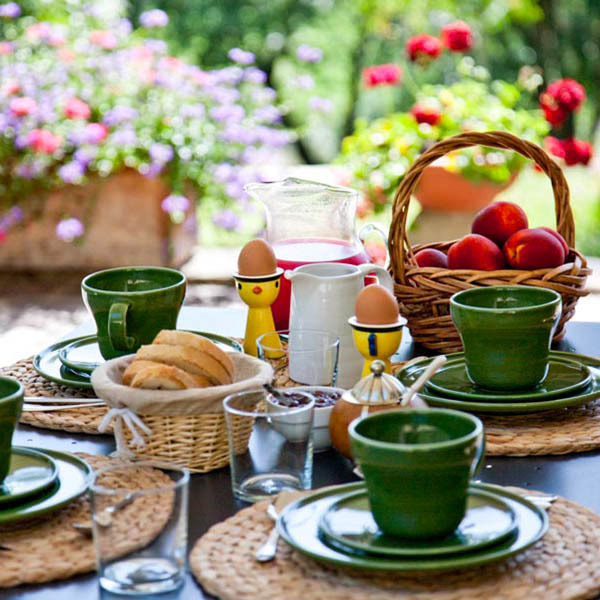 The rooms are beautiful – rustic, the staff will go out of their way to help you arrange whatever you need, the breakfast – quality and range – is phenomenal (Benedetta is a fantastic chef – if you are there when she cooks a dinner for the guests, cancel all plans & attend!). I could have stayed there forever and thank everyone for making our visit so pleasant. The views were beautiful, the breakfasts delicious and plentiful and the wine on this working vineyard was great. We must go back someday.